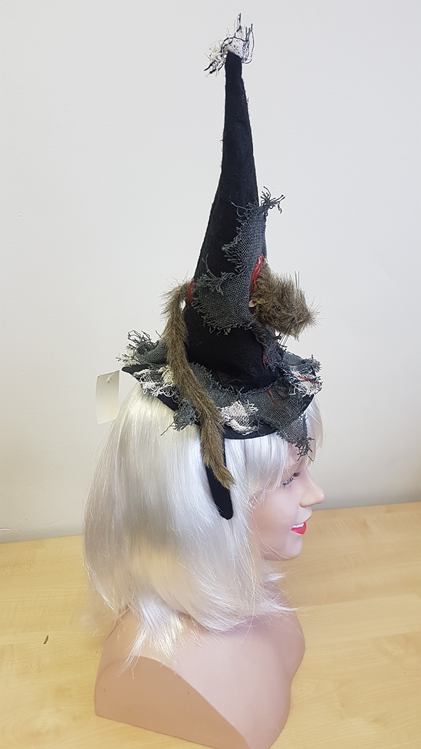 Now this is different – a black headband with a smaller witch hat. 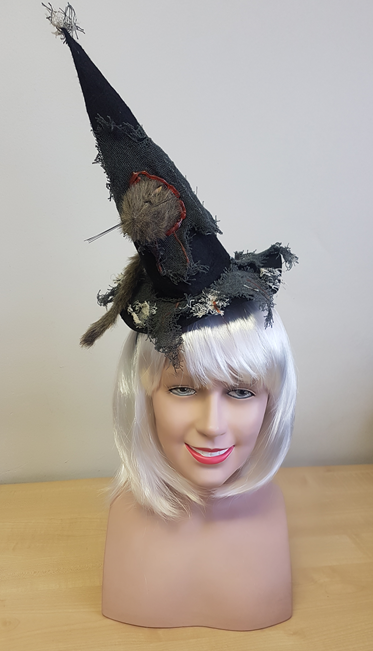 The hat has tattered hessian and a rat looks like it has crawled through the hat. One side the head sticks out and the other side has it’s tail.